The Cacao tree originated in the foothills of the Andes in the Amazon and Orinoco basins of South America. It was introduced into Central America by the ancient Mayas, and cultivated in Mexico by the Toltecs and later by the Aztecs. Cacao trees grow in a very limited geographical zone, of approximately 10 degrees to the north and south of the Equator. Cocoa butter is derived from cacao beans: fruit of the cacao tree. It is a stable fat whose natural antioxidants are good for the skin. The moisturizing abilities of cocoa butter are frequently recommended for prevention of stretch marks in pregnant women, treatment of chapped skin and lips, and as a daily moisturizer to prevent dry, itchy skin. It does however, promote elasticity in the skin and will aid in the healing of chapped skin if it is used regularly. Cocoa Butter contains a kaleidoscope of vitamins, minerals and natural mood-boosters. 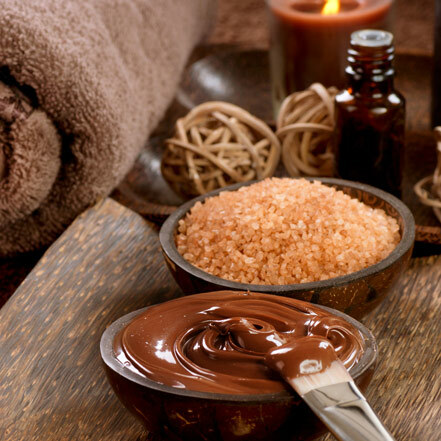 Sensation Chocolat Paris chose to use Cocoa butter in exclusive formulas where its benefits are at their best. It nourishes, hydrates, protects. It brings magnesium, iron, A, B1, B2, D & E vitamins. It’s rich in antioxydant polyphenols and astringent tannins and actives. The theobromine of cacao has a thermogenetic activity, it redensifies the skin. Finally, its phytosterols have anti-age virtues. Designed to satisfy all chocolate cravings without the calories, Sensation Chocolat Paris® introduces to the cosmetic market new products with it’s never-seen-before application pleasure : tantalizing textures, irresistible scents, and most of all, glowing and antioxidant action for surprisingly unique sensations. In 2008, Sensation Chocolat Paris decided to change the whole range’s formulation of its professional and retail ranges and remove paraben and phenoxyethanol. The brand also claims that none of its raw material or finished products are tested on animals.